Hey, at least they're bipartisan. For the uninitiated, the Texas Senator and conservative stalwart was born in Calgary, Canada -- prompting some to insist that he's not a "natural born citizen" and is therefore ineligible for the presidency. But there are only two types of citizens under the law: Natural born Americans (from birth), and naturalized Americans, who undergo the legal process of becoming a US citizen. 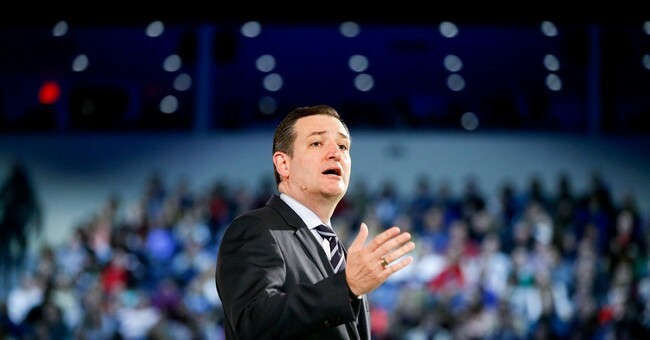 Cruz never experienced the latter proceedings because he didn't need to; his mother was born and raised in Delaware, rendering Cruz an American citizen from the moment of his birth abroad. Meanwhile, Cruz hasn't even indicated if he has any designs to pursue a White House run -- he's got his hands full in the United States Senate. National Review has more on this preposterous "debate:"
Legal scholars are firm about Cruz’s eligibility. “Of course he’s eligible,” Harvard law professor Alan Dershowitz tells National Review Online. “He’s a natural-born, not a naturalized, citizen.” Eugene Volokh, a professor at the UCLA School of Law and longtime friend of Cruz, agrees, saying the senator was “a citizen at birth, and thus a natural-born citizen — as opposed to a naturalized citizen, which I understand to mean someone who becomes a citizen after birth.” Federal law extends citizenship beyond those granted it by the 14th Amendment: It confers the privilege on all those born outside of the United States whose parents are both citizens, provided one of them has been “physically present” in the United States for any period of time, as well as all those born outside of the United States to at least one citizen parent who, after the age of 14, has resided in the United States for at least five years. Cruz’s mother, who was born and raised in Delaware, meets the latter requirement, so Cruz himself is undoubtedly an American citizen. No court has ruled what makes a “natural-born citizen,” but there appears to be a consensus that the term refers to those who gain American citizenship by birth rather than by naturalization — again, including Texas’s junior senator. Cruz, a constitutional lawyer, is unequivocal on the question. His press secretary, Catherine Frazier, tells National Review Online that, while a 2016 run is far from his mind right now — he’s “fully focused on his role representing Texans in the U.S. Senate” — there should be no confusion about his presidential eligibility. “He is a U.S. citizen by birth, having been born in Calgary to an American-born mother,” Frazier says. First, there are people born inside the United States. No question about that; their citizenship is established by the 14th Amendment. Then there are the people who are born outside the United States to parents who are both American citizens, provided one of them has lived in the U.S. for any period of time. And then there are the people who are born outside the United States to one parent who is a U.S. citizen and the other who is an alien, provided the citizen parent lived in the United States or its possessions for at least five years, at least two of them after age 14...The law is really quite lenient, especially for those born outside the United States. If a child were born today in, say, Kenya, to a Kenyan father and an American citizen mother who had lived in the United States for at least five years, at least two of them over the age of 14 -- that child would be a "citizen of the United States by birth" and be eligible for the White House. What about a child born in the United States to noncitizen parents? "I am not aware of anyone who has contended that someone could be born in the United States and be a citizen by virtue of the 14th Amendment and nevertheless still not be a natural-born American citizen," says Washington lawyer Matthew McGill, who worked with Olson on the McCain case and did extensive research into the law and history of citizenship. "If he is born in the United States, his parentage is not of consequence." Two other prominent Republicans have attracted birther scrutiny: Louisiana Governor Bobby Jindal, who was born in Baton Rouge to Indian immigrants, and Mitt Romney, a native of Michigan. Romney's father, who ran for president in in 1968, was born to American parents in Mexico. I'll leave you with a tip of the hat to the Huffington Post for coining the term, "equal opportunity annoyers" to describe the (marginal) birther movement. Perfect.